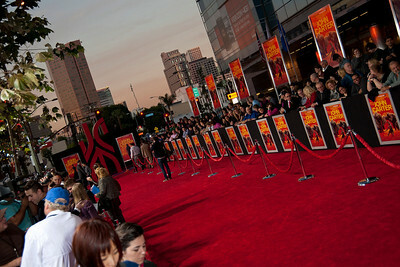 LOS ANGELES, CA - FEBRUARY 22: Atmosphere at the world premiere of Disney’s “John Carter” on Wednesday. 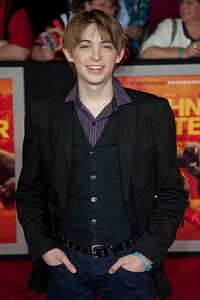 February 22, 2012 at Regal Cinemas in downtown Los Angeles. Photo taken by Tom Sorensen/Moovieboy Pictures. 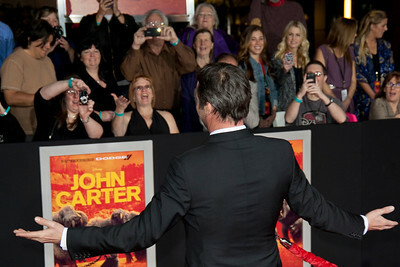 LOS ANGELES, CA - FEBRUARY 22: A real "John Carter," born on March 9th, arrives at the world premiere of Disney’s “John Carter” on Wednesday. February 22, 2012 at Regal Cinemas in downtown Los Angeles. Photo taken by Tom Sorensen/Moovieboy Pictures. LOS ANGELES, CA - FEBRUARY 22: Actress Katherine McNamara arrives at the world premiere of Disney’s “John Carter” on Wednesday. February 22, 2012 at Regal Cinemas in downtown Los Angeles. Photo taken by Tom Sorensen/Moovieboy Pictures. 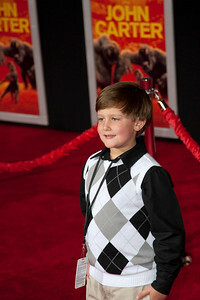 LOS ANGELES, CA - FEBRUARY 22: Actor Dylan Riley Snyder arrives at the world premiere of Disney’s “John Carter” on Wednesday. February 22, 2012 at Regal Cinemas in downtown Los Angeles. Photo taken by Tom Sorensen/Moovieboy Pictures. LOS ANGELES, CA - FEBRUARY 22: Actress Katherine McNamara and actor Dylan Riley Snyder arrive at the world premiere of Disney’s “John Carter” on Wednesday. 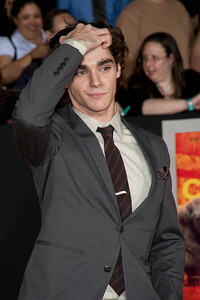 February 22, 2012 at Regal Cinemas in downtown Los Angeles. Photo taken by Tom Sorensen/Moovieboy Pictures. 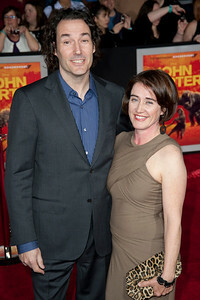 LOS ANGELES, CA - FEBRUARY 22: Writer Mark Andrews and guest arrive at the world premiere of Disney’s “John Carter” on Wednesday. 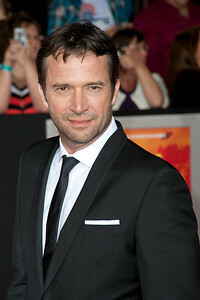 February 22, 2012 at Regal Cinemas in downtown Los Angeles. Photo taken by Tom Sorensen/Moovieboy Pictures. 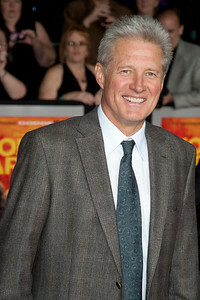 LOS ANGELES, CA - FEBRUARY 22: Actor Bruce Boxleitner arrives at the world premiere of Disney’s “John Carter” on Wednesday. February 22, 2012 at Regal Cinemas in downtown Los Angeles. Photo taken by Tom Sorensen/Moovieboy Pictures. 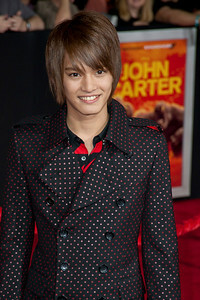 LOS ANGELES, CA - FEBRUARY 22: Japanese actor Yuma Nakayama arrives at the world premiere of Disney’s “John Carter” on Wednesday. February 22, 2012 at Regal Cinemas in downtown Los Angeles. Photo taken by Tom Sorensen/Moovieboy Pictures. LOS ANGELES, CA - FEBRUARY 22: Actress Vanessa Marand arrives at the world premiere of Disney’s “John Carter” on Wednesday. February 22, 2012 at Regal Cinemas in downtown Los Angeles. Photo taken by Tom Sorensen/Moovieboy Pictures. 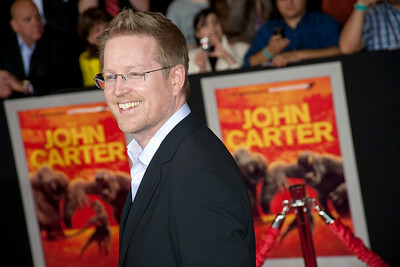 LOS ANGELES, CA - FEBRUARY 22: Producer Jim Morris arrives at the world premiere of Disney’s “John Carter” on Wednesday. 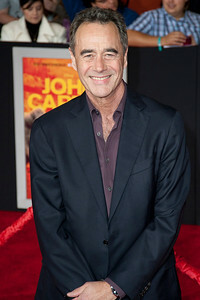 February 22, 2012 at Regal Cinemas in downtown Los Angeles. Photo taken by Tom Sorensen/Moovieboy Pictures. LOS ANGELES, CA - FEBRUARY 22: Actress Zendaya and guest arrive at the world premiere of Disney’s “John Carter” on Wednesday. February 22, 2012 at Regal Cinemas in downtown Los Angeles. Photo taken by Tom Sorensen/Moovieboy Pictures. LOS ANGELES, CA - FEBRUARY 22: Actresses Bella Thorne (R) and Zendaya arrive at the world premiere of Disney’s “John Carter” on Wednesday. February 22, 2012 at Regal Cinemas in downtown Los Angeles. Photo taken by Tom Sorensen/Moovieboy Pictures. LOS ANGELES, CA - FEBRUARY 22: Actress Bella Thorne arrives at the world premiere of Disney’s “John Carter” on Wednesday. February 22, 2012 at Regal Cinemas in downtown Los Angeles. Photo taken by Tom Sorensen/Moovieboy Pictures. 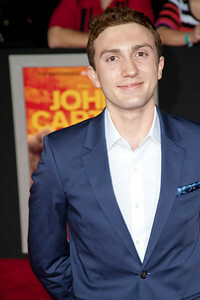 LOS ANGELES, CA - FEBRUARY 22: Actor Billy Unger arrives at the world premiere of Disney’s “John Carter” on Wednesday. February 22, 2012 at Regal Cinemas in downtown Los Angeles. Photo taken by Tom Sorensen/Moovieboy Pictures. 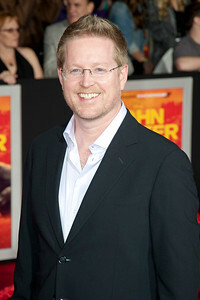 LOS ANGELES, CA - FEBRUARY 22: Director/writer Andrew Stanton arrives at the world premiere of Disney’s “John Carter” on Wednesday. February 22, 2012 at Regal Cinemas in downtown Los Angeles. Photo taken by Tom Sorensen/Moovieboy Pictures. LOS ANGELES, CA - FEBRUARY 22: Actress Kelli Berglund arrives at the world premiere of Disney’s “John Carter” on Wednesday. February 22, 2012 at Regal Cinemas in downtown Los Angeles. Photo taken by Tom Sorensen/Moovieboy Pictures. LOS ANGELES, CA - FEBRUARY 22: Actress Chloe Bridges and actor Daryl Sabara arrive at the world premiere of Disney’s “John Carter” on Wednesday. 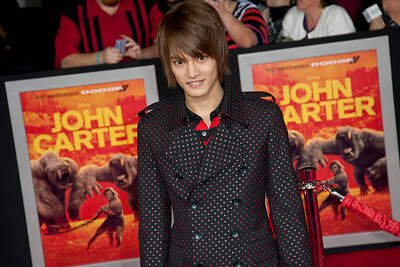 February 22, 2012 at Regal Cinemas in downtown Los Angeles. Photo taken by Tom Sorensen/Moovieboy Pictures. LOS ANGELES, CA - FEBRUARY 22: Actress Chloe Bridges arrives at the world premiere of Disney’s “John Carter” on Wednesday. February 22, 2012 at Regal Cinemas in downtown Los Angeles. Photo taken by Tom Sorensen/Moovieboy Pictures. 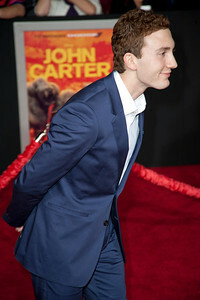 LOS ANGELES, CA - FEBRUARY 22: Actor Daryl Sabara arrives at the world premiere of Disney’s “John Carter” on Wednesday. February 22, 2012 at Regal Cinemas in downtown Los Angeles. Photo taken by Tom Sorensen/Moovieboy Pictures. 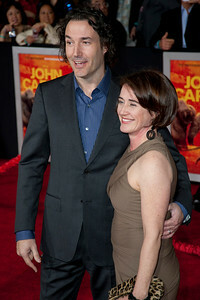 LOS ANGELES, CA - FEBRUARY 22: Producer Lindsey Collins arrives at the world premiere of Disney’s “John Carter” on Wednesday. February 22, 2012 at Regal Cinemas in downtown Los Angeles. Photo taken by Tom Sorensen/Moovieboy Pictures. 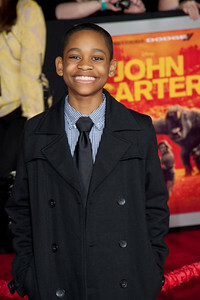 LOS ANGELES, CA - FEBRUARY 22: Actor Tyrel Jackson Wiliams arrives at the world premiere of Disney’s “John Carter” on Wednesday. February 22, 2012 at Regal Cinemas in downtown Los Angeles. Photo taken by Tom Sorensen/Moovieboy Pictures. 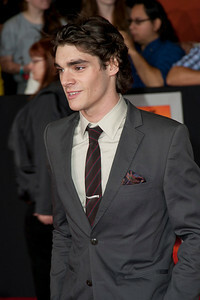 LOS ANGELES, CA - FEBRUARY 22: Actor RJ Mitte arrives at the world premiere of Disney’s “John Carter” on Wednesday. 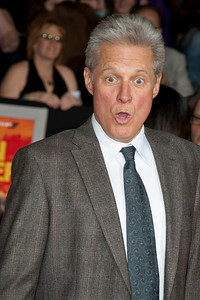 February 22, 2012 at Regal Cinemas in downtown Los Angeles. Photo taken by Tom Sorensen/Moovieboy Pictures. 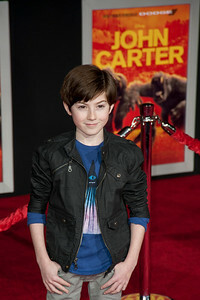 LOS ANGELES, CA - FEBRUARY 22: Actor Mason Cook arrives at the world premiere of Disney’s “John Carter” on Wednesday. February 22, 2012 at Regal Cinemas in downtown Los Angeles. Photo taken by Tom Sorensen/Moovieboy Pictures. 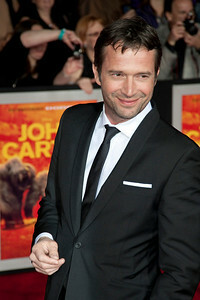 LOS ANGELES, CA - FEBRUARY 22: Actor James Purefoy arrives at the world premiere of Disney’s “John Carter” on Wednesday. February 22, 2012 at Regal Cinemas in downtown Los Angeles. Photo taken by Tom Sorensen/Moovieboy Pictures. 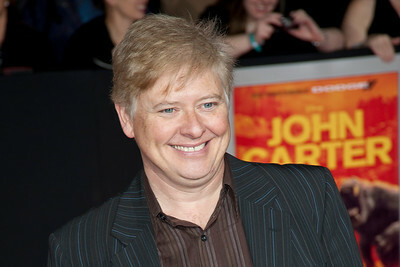 LOS ANGELES, CA - FEBRUARY 22: Actor Dave Foley and daughter arrive at the world premiere of Disney’s “John Carter” on Wednesday. February 22, 2012 at Regal Cinemas in downtown Los Angeles. Photo taken by Tom Sorensen/Moovieboy Pictures. 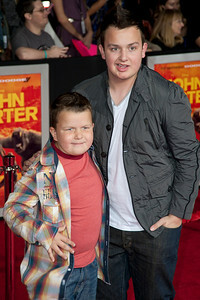 LOS ANGELES, CA - FEBRUARY 22: Actors Noah Munck and Ethan Munck Foley arrive at the world premiere of Disney’s “John Carter” on Wednesday. 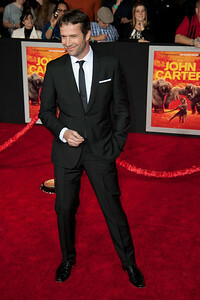 February 22, 2012 at Regal Cinemas in downtown Los Angeles. Photo taken by Tom Sorensen/Moovieboy Pictures.